Mobile apps are great, but they sap battery power on mobile devices and take time to download. People don’t mind downloading apps they’ll use frequently, but they do if they just want to ask a quick question about an issue they require help to resolve. Despite claims from the likes of Webio that mobile apps such as Messenger and WhatsApp will see the demise of live chat, there is room for both an app-based customer messaging platforms and live chat. Given this endorsement for social media apps, you might be forgiven for thinking that live chat is really going to be left behind. However, there is no actual evidence that this is true today. One of the benefits of a live chat solution is that customers can access it using their smartphones without having to download any application from any app store. Jarvis informs me that he tested live chat by using it to contact Click4Assistance – speaking to a representative called Amy. He says his experience demonstrates that there is more than one communication channel open to customers. “I was able to connect very quickly, without any hassle, and the agent responded very quickly”, he comments. 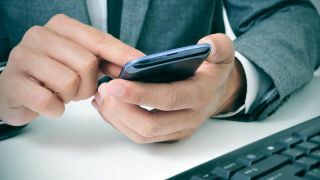 Therefore, while individual solutions may not be part of a social media network, he believes that live chat still has a role to play alongside messaging apps. In fact, they may enhance customer choice by being part of an omnichannel experience. With smartphone it is possible to use web-based live chat, and there is also the option to use the likes of WhatsApp and Facebook Messenger too. However, it’s worth noting that in my experience customers don’t necessarily want to be contactable by a business constantly via messaging apps. It’s one thing to keep the conversation flowing day to day with friends and families. But once a live chat session ends, individuals are happy to know that the connection has been severed and they are in control of future interactions with a company. With live chat they can also share as little amount of information as they wish to protect their data and safely know they will not be contacted unless they agreed this within their conversation. In my opinion consumers don’t all use the same apps, and when it comes to messaging in our private lives, individuals may prefer Messenger over WhatsApp or Instagram direct messages to Snapchat. WhatsApp allows customers another choice of communication with a company, and with this integration, it will allow live chat software providers to integrate WhatsApp into their solutions to allow all messages to be handled by the same agents in one area. For example, we already do this with Messenger and our live chat solution. Usability is better on a downloadable app. Login credentials and other settings are easily saved too. Some providers may also have to offer a much simpler version as some aspects of the application may not work the same when using a browser-based version compared to the full functionality available on a downloadable app. However, this needn’t preclude any form of web-based live chat. That aside, companies using WhatsApp Business will need to have an available phone to receive and respond to messages. This may not be practical if offices have a no phones at desks policy, or that the business owner wouldn’t want to responsible for handling the messages. Nevertheless, when integrating live chat and chatbots with other channels – include, perhaps, mobile messaging apps, which could offer some advantages. Such integration allows a conversation to flow seamlessly from a live chat to a phone call, or from social media into a private chat. Having live chat in other applications improves the user experience as they don’t have to leave the application to search the company’s website for contact details; it’s quick, easy and instant. My concluding advice is that organisation should ensure that all of the channels, whether or not they consist of live chat, chatbots, text messaging or messaging apps such as WhatsApp, are implemented well and are used. For example, if a customer is waiting to chat with a company but try several times a day and no operators are available, this can give a worse impression of the company than having no chat service at all. So, make the most of any free trials to give your organisation time to evaluate what areas of the website, or which departments need live chat the most. This will identify what is causing the visitor to make their enquiry, and through which channels they prefer to communicate.